Is there a problem with the QuickBooks 2009 R9 update? The update was released to Manual Update in late November, and was released to Automatic Update just recently. Ever since the start of the Automatic Update came out, a very large number of messages about problems started popping up in the Intuit Community Forum. As of today, it looks like Intuit has temporarily removed it from Automatic Update. The primary change in this update is a move to a more reliable version of the underlying database manager. My understanding is that the new database manager is the same one that is being used in the 2010 release. In addition, there is a fairly substantial list of bug fixes that I summarize at the bottom of this article. I’ve installed this update on my own system, and on systems for a limited number of my clients, and I have not run into any problems myself. However, note that I have a lot of experience in doing these updates. Also, as I mention in my article on automatic updates, for many of my clients I turn the automatic update feature OFF so that you don’t have one employee installing the update by accident, at a time that isn’t convenient. Note that you have to be careful doing this if you are working with an accountant or CPA who has an accountant’s copy of your file. You also have to make sure that every user AND the database server (in a multi user environment) is updated at the same time. As soon as this release came out on Automatic Update, complaints about problems started showing up in large numbers in the Intuit Community Forum. Is there a problem? Yes, but only if you don’t install the update correctly. The update works well BUT it requires a more involved update process, and that is why people are running into problems. Intuit created a new web page that has detailed instructions on how to perform the update, as this update takes more work than the typical update. If you are running in a multi user environment pay particular attention to the steps for updating your database server. Some time today Intuit removed the update from “Automatic” status, according to an answer in the Intuit Community forum. You can still get the manual update (which is important if you are part way converted and having problems). The main issue that I see is that you must update the server in addition to your workstations, and MANY people aren’t doing that properly. I have not run into any problems in my limited number of conversions to date. Given that this is a more complicated update, I believe that the “automatic update” approach has caused problems for many businesses that don’t control the process carefully. If you are using QuickBooks 2009 and you have not updated to to the R9 release yet, please review the detailed update instructions and follow them carefully – and do the update at some time when you can afford to have your system shut down for awhile. It is a worthwhile update (according to what they say) but you have to do the update carefully! If you have installed the upgrade successfully, don’t worry, the problems I’m seeing are just transitional in the update process. If you are planning on updating, OR you are in the middle of the update, review the detailed installation instructions that Intuit provides. Should you turn off Automatic Updates? In a multi user business environment it isn’t always good to have these updates installing automatically – even if it asks you if it is OK to proceed, it is easy for one employee to say “yes” and then shut down the whole system until everyone is updated. I hate to recommend turning this feature off, because most people then forget to get the updates or turn the feature back on. BE CAREFUL if you are considering that. Note, however, that I do my best to post reminders of updates in this blog as they come out. How Do I Know What Release I Have? Start QuickBooks, then press the F2 key. An information window will open and the product/release information will be shown at the top. Accountant Specific The View/Export Changes for Client screen no longer contains changes entered in a previous Accountant’s Copy.Toggling between “editions” no longer causes QuickBooks to close unexpectedly when Office 2007 is installed on the same computer. Accountant’s Copy The accountant user is prevented from creating invoices from time and expenses data. 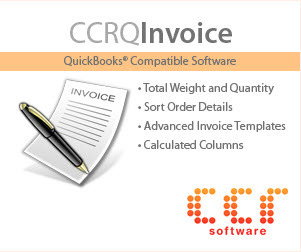 In Accountant’s Copy, the menu item ‘Invoice from Time & Expenses’ will not be displayed when this preference is turned on by the client.Import of Accountant’s Copy no longer fails when importing Payment Item amount in Credit memo/Refund.QuickBooks no longer displays an unrecoverable error when adding or deleting a group item in some Accountant’s Copy (.QBA) file. Accounts Receivable Using the notepad to enter notes for a customer in the middle of creating an invoice will no longer cause custom field data previously entered on the invoice to disappear.QuickBooks will no longer display an “Action Cancelled” page when attempting to open Receive Payments or Create Sales Receipts on a computer with no internet connection.QuickBooks no longer closes unexpectedly when creating an Estimate for a customer. Backup and Restore QuickBooks will no longer shut down with an unexpected error when rebuilding or backing up a QuickBooks company file that previously displayed the unexpected error. Backup file size is no longer doubled if the backup is saved in the QuickBooks letter templates folder. QuickBooks will now correctly backup files that have a file name longer than 64 characters. Centers Vendor Notes are now available from the Vendor Center. Company File Upgrade QuickBooks will now check the file for integrity before attempting to update it. 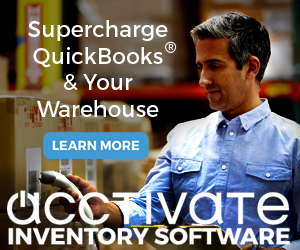 Upgrading files from QuickBooks versions prior to 2006 will no longer fail with an unexpected or fatal error. Database Resolved the Error -6032, -158: “An error occurred when QuickBooks tried to access the company file” when converting a company file from 2006 to 2009. File Operations Entering memorized transactions no longer fails when estimates are added to memorized txns (auto enter).QuickBooks will now display the (-6000, -82) and the (-xxxx, -301) errors much less often. Intuit Sync Manager Incremental syncs via sync manager will now complete successfully. Lists Resolved an issue where Name Lists were not displaying. Multi-Currency Creating a refund now uses the selected currency as part of the criteria when auto-selecting a bank account for the check.General Journal transactions in files with Multi Currency activated can now be modified as needed.Statements that include detailed information from Invoices now show the currency without a dollar sign when the currency is not USD.Currency information is no longer missing when Customer or Vendor Information is printed from within the centers.When a transaction is edited while another user is in the Home Currency Adjustment window, the Home Currency Adjustment can no longer be saved without checking the file to see if existing transactions have been changed.Realized gain/loss from a refund check created from a credit memo now posts to the Realized Gain/Loss report. User without modify access to currency list can no longer download exchange rates. Blank targets are no longer added to transactions after clearing & selecting a customer/vendor. Setting a Discount without applying a payment with different exchange no longer causes an out of balance transaction. Credit Memos applied to Invoices with different exchange rates no longer throw off sales tax amounts. Changing the exchange rate on a Journal Entry paid by a bill credit now updates the exchange gain/loss. Remaining Credit (Home) on transaction tab in customer center no longer displays amounts in negative. Expenses tab now properly displays Bill Credit + Credit Card Refund w/ figures 12 digits or more. Realized gain/loss from Credit Card charge linked to a Bill will now post to realized gain/loss report. Creating an Invoice from a Sales Order at a different exchange rate (from currant list) no longer creates an out of balance Invoice. Changing customer currency on sales receipt with items no longer displays the Edit Item Rate message twice. The Beginning Balances in the Locate Discrepancies and Undo Last Reconciliation screen are no longer in a foreign currency. QuickBooks no longer crashes when importing an Accountant’s copy that involves creation of a gain/loss account with multi currency on. Currencies with exchange rate lower than 4 decimal places now print properly when printing the list. Editing Exchange rate on a Credit Card Refund linked to a Credit Card Charge now updates the exchange gain/loss. Editing the Exchange rate on a Credit Card Refund linked to a Bill Credit now updates the exchange gain/loss. When applying ARRefundCreditCardAdd through the SDK to a multicurrency account, the balance total is now updated. Editing the exchange rate on an auto-recalled bill no longer generates an out of balance transaction. The currency field is now grayed out when Quick-Adding a job to a customer that already has a currency set. QuickBooks now posts a warning message instead of unexpectedly closing (error code 15361 28781) when an attempt is made to deposit home currency amounts to a foreign bank account. Payroll QuickBooks will no longer display unrecoverable error 14775 when creating or sending payroll.The Send Payroll confirmation report in QuickBooks now shows the employee and amounts.QuickBooks now allows the next year’s rate to be entered on payroll items that are created after July 1st.When a liability check has two detail lines for the same item and amount, both are now applied.QuickBooks no longer incorrectly calculates the Withholding taxes incorrectly if the effective date of a withholding tax change is not at the beginning of a tax quarter or year, and the system date is prior to the effective date of the withholding tax change.Employee Organizer no longer creates duplicate state withholding items. QuickBooks now warns when an employee is added with a Social Security number already in the employee list. Payroll: Assisted Payroll Can now change the Paid Through date on a non-tax liability payment once sent if on the Assisted Payroll Service. PDF PDF Converter is no longer lost when upgrading to a new operating system.Remote Desktop users accessing QuickBooks via terminal services are now able to save to pdf on Windows Server 2008 – 64 bit.The background color will no longer turn black when saving a file as a PDF.The PDF printer driver is now called version 3.0. Printing Can now print properly on Vista 64 bit OS pre SP1. QuickBooks Online Banking QuickBooks Online Banking new account setup can now be completed when there is a PIN change required.Payee names containing & are now displayed correctly.The left hand side of the online banking screen is no longer black when no transactions are present on Windows Vista.QuickBooks will no longer allow a non-USD currency bank account to import online transactions.Using the Open option after logging into the bank’s website through QuickBooks will no longer display the “No new transactions” dialog when transactions are availableQuickBooks should no longer download duplicate transactions when a web connect file is imported a second time. A credit card payment now defaults to Credit Card Credit instead of Credit card Payment. It will now have “CC CRED” instead of “TRNSFR” in the Chart of accounts. The radio buttons have also been reordered to show CC Credit first and then, CC Payment on the Right Hand Side of the Online Banking Side-by-Side screen. The error “Alias already exists” is no longer displayed when changing a downloaded alias to another QuickBooks name. The up and down arrow keys will now allow movement to the next transaction in the left hand side of the Side-by-side online banking screen. When adding split lines to downloaded transactions in the Side-by-side online banking window, tabbing into the next field now highlights the existing text or puts the field into edit mode so it can be changed by typing without clicking on the selected field again. The right hand and left hand sides of the online banking screen will no longer be out of sync after adding an online banking transaction from the Add Multiple feature. QuickBooks no longer selects the ‘Deposit Online Banking transaction’ radio button when the ‘Record a QB deposit’ button should be selected after cancelling adding a new account in the online banking screen. QuickBooks will no longer display the Unexpected Error C=51 when using the Online Banking feature if names in the company file contain non-printable characters. QuickBooks will no longer unexpectedly close when some renamed and matched transactions are processed with Finish Later while the manual match screen is open. QuickBooks no longer closes unexpectedly when multicurrency is turned on and you quickadd a name in the Online Banking register. QuickBooks will no longer display the message that “Payee named [Vendor Name] detected” or, “This payee is already an online payee – please select a non-online payee.” when a bank updates its name or merges with another bank. QuickBooks will no longer allow a non-USD currency bank account to be setup for Online Banking or Online Services. QuickBooks no longer displays “Error: CleaningDownloadedPay in some use cases that were not fixed in prior releases. Company files that do not have Multi Currency enabled will no longer filter the Undeposited Funds and Open Invoice transactions from the Online Banking screens. Payees that are not setup as USD currency are not pre-filled in the online banking screens. When there are unprintable characters in the the names used for Online Banking a warning is displayed and the Add Multiple screens do not open because the names cannot be used. No longer get an Unexpected Error c=47 when accessing the online banking register view after updating a file from Pro to Premier. Reconcile QuickBooks will no longer close unexpectedly with an error while reconciling when the service charge account or interest account have been deleted. Reports QuickBooks will no longer display an error and close unexpectedly when accessing the General Ledger report.QuickBooks will no longer display an Out of Memory message when running the Audit Trail report for all dates.Are now able to properly open memorized list reports after updating company files.Having the preference “Show Lowest Sub-Account” and duplicate sub names no longer causes an error in when runing the Budget to Actual report.The report is now displayed when selecting an industry specific job cost report.The report is now displayed when selecting the Sales Tax Liability report. QuickBooks will no longer display the Out of Memory error when running reports that use a very large number of transactions. Startup QuickBooks no longer displays the severe error: “MauiMain:IsIEPresentfailed. Exiting…” when launching QuickBooks on a Windows 7 computer that has Internet Explorer disabled.QuickBooks now displays a message instead of closing unexpectedly when trying to login to some company files. User Interface Credit Total on Bill Credit History is now aligned properly when displaying more than 8 characters. Users and Permissions The customer credit card data stored in QuickBooks will no longer become corrupted in certain circumstances where the Admin password was changed.The External Accountant user will no longer be restricted from using the Reconcile feature. It may be necessary to rebuild the company file after updating to R9 or later for this change to take effect. My name is Greg Wright and I am a product manager for QuickBooks. QuickBooks 2009 Release 9 differs from most releases. 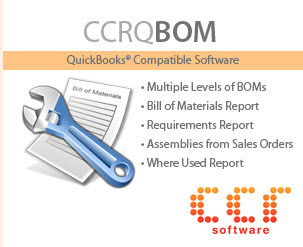 Because of the changes it makes, R9 is not backwards compatible with earlier releases of QuickBooks 2009. Therefore you need to treat it the same way you treat an upgrade to a new year version. That is, both your program and data files will need to be updated. The update needs to be applied to all machines you run QuickBooks on AND the QuickBooks Database Manager, usually installed on the server and requiring an administrator’s oversight and access. If this does not happen, users will not be able to open the company file. This has caused some confusion with the multi-user updates. Intuit support is abysmal. This at least admits there are problems. Even their links are dead. I updated the main server without problems. The second computer without problems. But the main “front office” computer” fails the update with a 12007 error. No one seems to have an answer to this. I have tried uninstalling and reinstalling 3 times. What am I missing? Phil, I’ve not run into that problem myself. Can you provide a detailed description of the error, at what point it occurs, and what operating system you are running? I purchased QBPremier 2009 (3 licenses), in August. I am running Windows Small Business Server 2008, with the clients all as XP machines. I tried to install the server potion of the program on my server and use three of the XP machines as the clients. I was told by QB’s support staff that the program is not compatible with Windows Small Business Server 2008. I had to specify one of my XP machines as the “server” for this program, meaning that machine has to be running for the other two licensed machine to be able to run QB. Does R9 fix that problem? This all occurred after I was told by Intuit prior to the purchase that it was compatible with the Windows Small Business Server 2008. Rancy, I can’t comment on Windows Small Business Server 2008, but I doubt that this update would change anything in that regard. You might ask about this in the Intuit Community Forum. I updated my desk top to R9 when prompted by the automatic update feature. I converted my data (as I have many times as a long time Quickbooks user), then I ran the update on my netbook and it would only go to R8. I have tried to do a maual update and it will not go to R9. So my data is incompatible with my netbook. Will R9 download become available again? Larry, the R9 update is available as a manual update from the KB article that I linked to, have you tried downloading that and using it? I have two companies on three computers. The one company opens on the server & when I try to open the other on the server it says the password is wrong. I tried to change it but I cant get into Company to acess Admin or anything.The other company opens on the computer in the front office and in the back office neither will open. Do NOT install this update!!! It has completely screwed up QB system and i am now hand writing invoices! I spent 2 hours on the phone with a QB Tech Support person to no avail…I had to hang up and get my business limping along on ‘manual’ until i have time to correct this DISASTER. I installed R9 upgrade. Am having problems with Customer/Job when invoicing. QB tech said it is because my file is too large. Also noticed Sales Tax Summary problem. Is there a way to remove this upgrade? I don’t know if “downgrading” will recover your sales tax reports or not, I haven’t had my hands on a file that shows that problem so I can’t test it. Charlie, here is a more specific list of issues. First, after having installed the update I was unable to generate any of the PDF related invoices that I can usually use to e-mail customers out of the MS Outlook mail program. Second, although the information screen for my version of QB clearly indicated that the the version had been “upgraded” to R9, the system continued to generate install requests for R9. Third, upon spending two hours with a Tech rep at Intuit, we managed to disable my QB program because of the lack of compatibility between the R8 Database and the R9 database. This was a result of the rep trying to ‘back migrate’ me to R8 and then try a separate upgrade. So, at the end of two hours, I had no QB at all. I had to hang up and generate my closing invoices for that days shipments BY HAND. Finally, yesterday I spent an additional 2 hours on the phone with a different Tech Support rep who was able to uninstall all of the previous version and re-install the R9. It seems to be working ok, so far. This is one ugly beast of an “upgrade” process! Yes, i spoke too soon. I now cannot find my Customer Manager online service link in this new version of R9. Amazingly poor implementation…. Steve, I have a few customers using 2009 R9 (most are using 2010), and I have my own installation of 2009 R9. I’ve not seen any of these problems. Can’t comment about Customer Manager Online as I don’t use that. Some installations go wacky, even with 2010, 2008, and so forth. Converting from one major release to another can often be tricky. Some installations just don’t convert well for a variety of reasons. The R9 update should have been handled just like a conversion from 2009 to 2010, but many people didn’t start off right (because “automatic update” created a very bad situation). Once you get off on a bad footing, problems tend to cascade. Your situation is one of the bad ones. Sorry you had to go through all that. Thank you Charlie. It certainly has been a bad couple of days, with much wasted time. I am not a computer neophyte and I maintain the networked 12 computers that we have here in a retail business. I am not an expert either. However, if I caused this much of a problem for any of my customers, I would expect to never see them again. I am looking around now for a way to migrate. I used Peachtree in a previous life and that is looking like a viable alternative now. It was more stable than this platform. YES there are problems with R9 beyond simply not upgrading all computers on the network. First, I continue to get an error stating “there is an error with Quickbooks Database Manager” and it needs to close. I think R9 does not work well with the latest Windows XP/Vista update. Second, the QB tech support guy thought that my data file was “corrupt” (even though it has been working fine before the update on all computers). After 6 1/2 hours with tech support(uninstalling and re-installing QB from disk and restoring online backup file), I still HAVE NO ACCESS TO QB! I was “escaltated”, but disconnected! A wasted work day. Tech support still thinks it is my file that is the problem (but admitted R9 is very “sensitive”- I’ll say….). Finally, I uninstalled everything and am now running my 3 networked computers on R7. QB, please fix the update and let me know when it is released in a form that actually works. THIS NEW DOWNLOAD IS PRETTY MUCH GOING TO COST OUR COMPANY THOUSANDS THEY ALSO TOLD US WE HAVE A CORUPT FILE!!!!! WE HAVE LOST ALL OF OUR BOOKS CLEAR BACK TO MARCH CAN ANYONE SAVE US?????? Mark, I can’t say much without seeing your file. If you had some problems in the file before converting, moving to a new major version can make the problem worse.